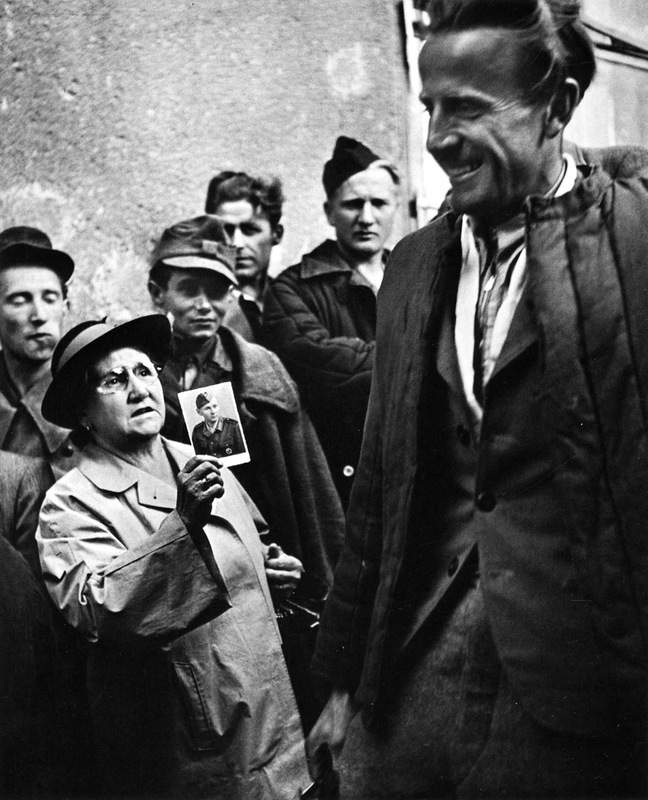 A smiling prisoner of war returning home to Vienna passes a woman holding a photograph up in a mixture of hope and despair. These iconic photographs were taken in 1947 at Vienna’s Southern Railway Station, where photographer Ernst Haas witnessed the moving scenes of the return of the first 600 Austrian war prisoners from Eastern Europe. 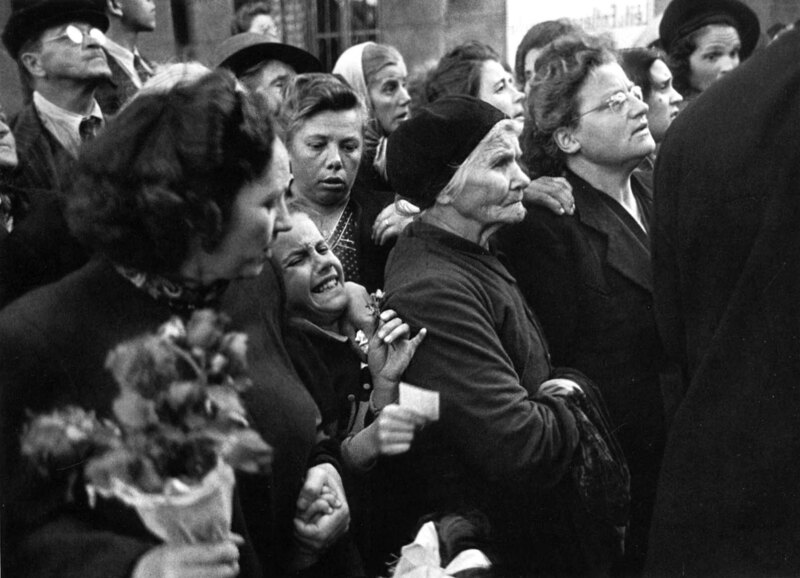 Haas’s images show the anticipation and grief of people searching for their lost relatives among the survivors. The magazine Heute, published in Munich by the Americans, first published the feature in August 1949. Only one week later, it was reprinted in the leading illustrated magazine of the time, the American Life, leading to Haas’ breakthrough as a photojournalist. Soviet Union took 2,388,000 Germans and 1,097,000 combatants from other European nations as prisoners during and just after the war. More than a million of the German captives died. The immense suffering Germany and her Axis partners had caused surely played a key role in the treatment of enemy POWs. “In 1945, in Soviet eyes it was time to pay”, wrote British military historian Max Arthur. “For most Russian soldiers, any instinct for pity or mercy had died somewhere on a hundred battlefields between Moscow and Warsaw”. Crowds in Vienna waiting to greet homecoming prisoners show varying degrees of emotion ranging from stoicism to hysteria. 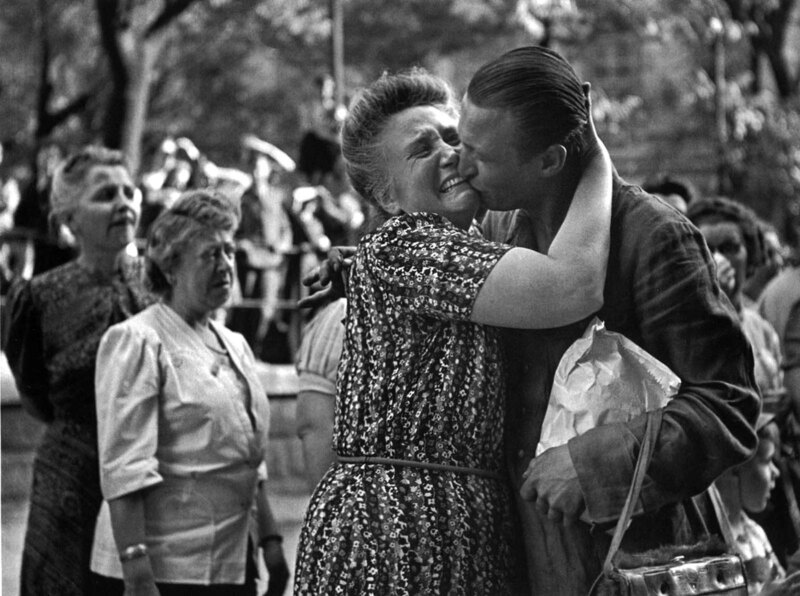 A woman greets her son, an Austrian prisoner of war returning home to Vienna. Josef Stalin’s regime was ill equipped to deal with prisoners: In 1943 as more enemy units fell into Soviet hands, death rates among POWs lingered around 60 percent. Roughly 570,000 German and Axis prisoners had already died in captivity. By March 1944, conditions began to improve, but for economic reasons: As its manpower was swallowed up in the war effort, the USSR turned to POWs as a surrogate work force. The Soviet Union repatriated prisoners at irregular intervals, sometimes in large numbers. As late as 1953, however, at least 20,000 German POWs remained in Russia. After Stalin’s death, those men were finally sent home. (Photo credit: Ernst Haas / Getty Images). People seem to forget ! War is hell, all the killing, wounding, and destruction, that goes with war. I hear and read people - bomb them all - kill them all - etc. Have we learned nothing from past battles and the big WW 11 ? Let us all work for peace. First person I've seen to actually show some civil thought. Government and media have radicalised people in to thinking "killing" is a solution to the world's problems. It's a way to make the people docile in the face of a government's corrupt actions. It's messed up. Only those who can think for themselves, realise that killing is never a good thing. Yes war is NOT glorious, virtuous or glamorous, you will not be sailing over the trenches on a white horse, war is the most severe expression of lacking empathy that can exist, the experience if it by chance doesn't damage your body most often it does damage your mind, psyche and if you believe in such a thing your soul, the men in wars up until the 70's were conscripts faced with severe penalties for not obeying the orders at the point of a gun and once they were in would very often be shot anyway for 'cowardice'. if i could imagine hell it would be a situation where millions of young men are forced to kill each other and be killed themselves due to the strategies and goals of an all powerful entity (state) above them, hundred of thousand of people war simply because some officer or general hundreds of miles away put a dot on a map to be vaporised with explosives. In fact after world war two the bombing of the entirely civilian city of Dresden in Germany where constant air-strikes were senselessly murdering hundreds of thousands of Germans who were no more guilty of anything than the people of London and Coventry was deemed a war crime and I would argue so were the nuclear bombings of Hiroshima and Nagasaki, the Japanese people have nothing to do with an unelected imperialist being in charge of their country, as well as the concentration camps in Germany and torture in japan on the axis side. If all that sounds glamorous or virtuous to you then you may want to rethink your moral compass.